When blind spots or poor communications occur in a network due to vegetation, topography or excessive distances, a repeater can be installed in the network to facilitate communications. The Repeater greatly extends the range of the network and can bridge obstacles that might otherwise block communications. • The “smarts” built into the system automatically direct the radio signal where the signal strength is greatest, i.e. either direct between the TD200 and the Twig, or through the Repeater. • A Twig network may contain up to 9 repeaters. • Optional Power Sources: 110Volt AC or 12 Volt DC battery with solar panel. 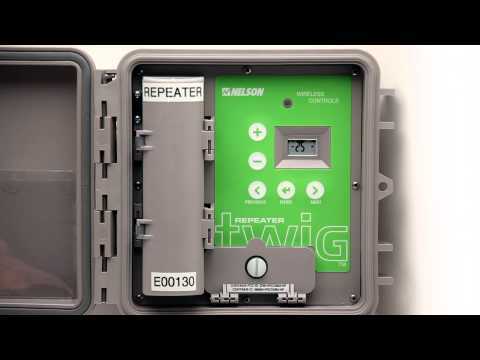 • Twig Repeaters require an external antenna.